Not only can play help a child express difficult emotions, but playing WITH a child can help you create a relationship in which the child trusts you to hold these emotions. In addition to a small private psychology practice, I teach a social-emotional learning curriculum at a K-8 school for gifted students. So many of my kids are brilliant, creative and fun! And so many of them benefit from a little extra focus on how to be successful in the school’s social fabric, both in the classroom and on the playground. Even 8th graders with IQ’s far above mine sometimes lack the language to talk about basic emotions. And once you get past happiness, sadness, surprise, anger, fear and disgust, a student trying to interpret their emotions might as well be looking at hieroglyphics…although, come to think of it, some of my students are actually pretty good with hieroglyphics. But what they can’t say, they can show. Students show their emotions through play. Kids in the hospital or dealing with serious medical issues are no different — they may not know what they’re feeling, or they may be unwilling to talk about difficult emotions, but play with them long enough and you’ll see what’s really going on. Once you see a child’s emotions in his or her play, you can transform unconscious feelings into conscious thoughts, allowing you to examine them more closely. That’s when healing happens. In fact, in my practice and in my classes, I sometimes use play to create difficult emotions. Okay, that sounds a bit harsh, but what I mean is that games are a way to help kids feel versions of the struggles they face elsewhere in life. Once kids feel these emotions, they can work through them. Usually, I do this with games. For example, the game Sorry can bring up feelings of betrayal, as players send each other’s pieces back to the start. Card games like Hearts make kids deal with worry — will that suit go around again or are they going to get stuck with the queen of spades? Team-building games can force kids to work together under pressure. More complex games ask kids to maintain the ability to think even while their emotions run high. Again, the goal of these uses of play is to help young people express their emotions, either the authentic emotions that hide beneath the surface, or emotions that you can help to provoke so that you can explore them more deeply. 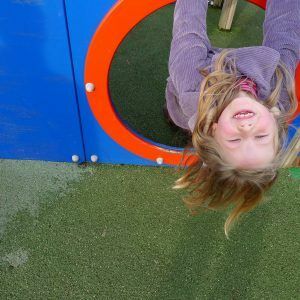 But there’s another, very important benefit of play, in fact, it may be the MOST important benefit of play: Play can help you create a relationship in which a child knows that you can be trusted to hold his or her feelings. Often, nothing you say can convince a child that it’s safe to show how they really feel. But by engaging with a child through play, you can edge inside the perimeter of their trust. Not only the fact of a child’s play, but playing with a child, is a way to help a child see that you are on their side…even when you’re beating the child at Sorry!